Please click HERE for more information & how to request a free set. Pirates of the Caribbean Delta Upgrade .97 to .98 [USA Mirror] *IMPORTANT* - INSTALL AFTER .97 FULL! Pirates of the Caribbean Delta Upgrade .97 to .98 [EU Mirror] *IMPORTANT* - INSTALL AFTER .97 FULL! How do I purchase one of your games? What are the power requirements for your games? What are the game dimensions and weight of your games? What warranty comes with a JJP game? Click to view or download our warranty. Does the warranty cover onsite service? No, our warranty does not cover on-site labor. Please reference our warranty at the link above. What if I need service on the game? JJP provides support via phone, email, and a web-based service desk. We also offer after-hours support. In the event you might need an onsite technician, please contact JJP and we will assist you in finding an experienced technician. Where can I find instructions to help setup my game? What does your white glove delivery service include? Available for all domestic orders, our white glove delivery and setup is a two-man delivery team which will bring the game inside (anywhere on the main level of your home or business). The game will be setup ready for play, and they will remove all packing materials. Stair climbs up or down is an additional charge and will be quoted upon contact with the customer. Where can I purchase parts for my game? 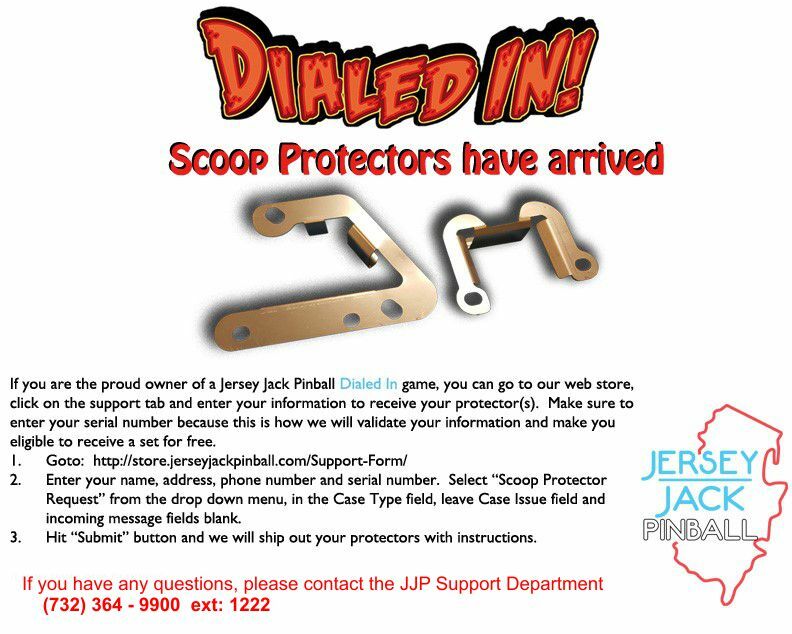 You can find parts in our store, available for purchase – or give us a call at: 732-364-9900. Where can I access the latest manual for my game? How do I get product updates that have been announced? Can I adjust a game's volume to limit noise? Yes, you can adjust speaker volume and all of our games come with headphone jacks so you can play without disturbing others! How do I sync the game to my smartphone in Dialed In? Visit the App Store on your smartphone. Search for “Jersey Jack Pinball”. Click download & install the free App! Run the app, you will be prompted to enter your name on first launch. After starting a new game & before you launch your first ball, press and hold the LEFT flipper button on the game cabinet AND on the App screen. After a few seconds, the monitor will display a welcome message and icon on the screen if smartphone sync was successful. Bluetooth on device must be enabled! 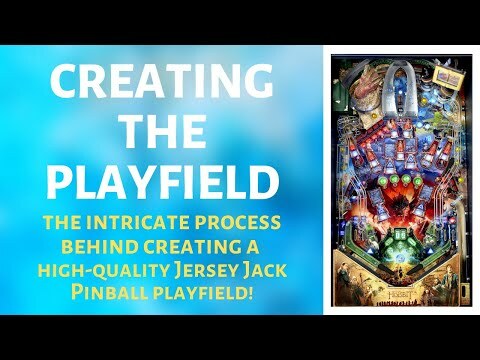 Butch Peel, Pinball Tech Wizard, details the intricate process behind creating a high-quality Jersey Jack Pinball playfield. 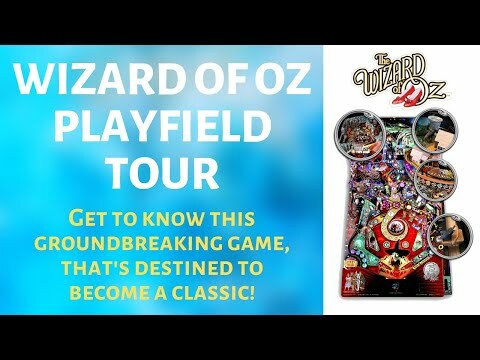 Butch Peel, Pinball Tech Wizard, takes us on a JJP tour of The Wizard of Oz Playfield. Get to know this groundbreaking game, that's destined to become a classic. 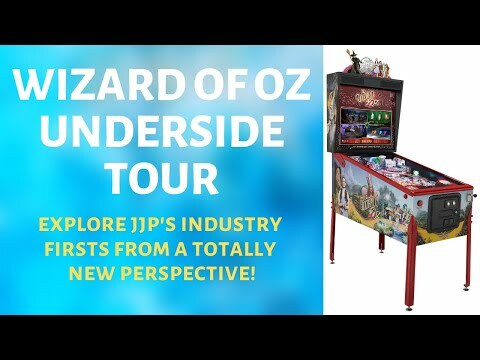 Butch Peel, Pinball Tech Wizard, discusses the underside of The Wizard of Oz Playfield, exploring JJP's industry firsts from a totally new perspective. Butch Peel, Pinball Tech Wizard, takes us on an adventure in this high-level playfield tour of The Hobbit, a pinball game deeper than the Mines of Moria. 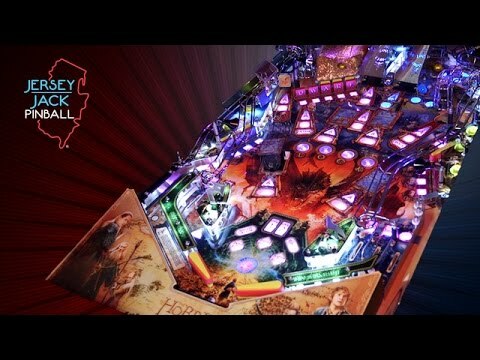 Butch Peel, Pinball Tech Wizard, leads us into Smaug's lair in this underground playfield tour of The Hobbit. 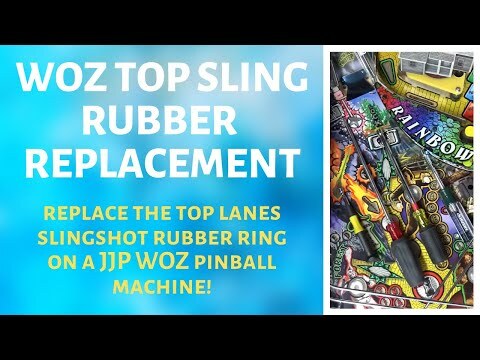 How to replace the top lanes slingshot rubber ring on a JJP WOZ pinball machine. 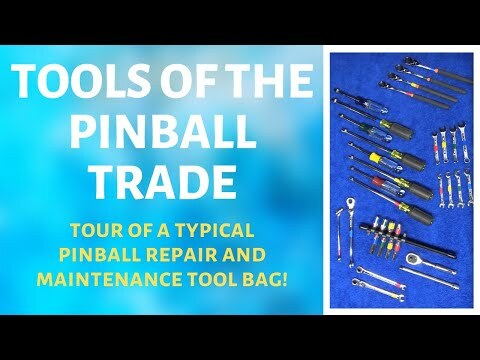 A detailed tour of a typical pinball repair and maintenance tool bag. 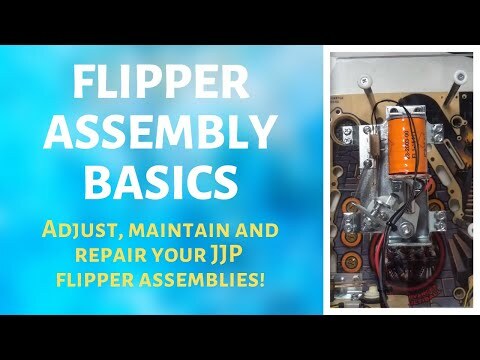 A detailed discussion on adjusting, maintaining and repairing your JJP flipper assemblies. 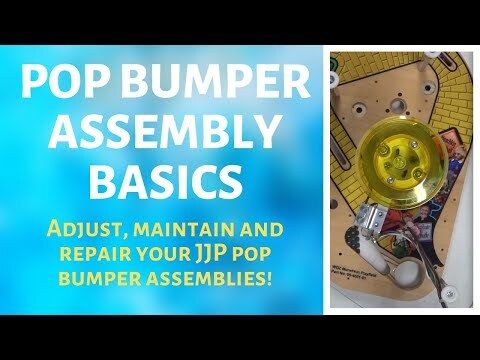 A detailed discussion on adjusting, maintaining and repairing your JJP pop bumper assemblies.